Vernon F. Raver the first son of Minnie Raver. 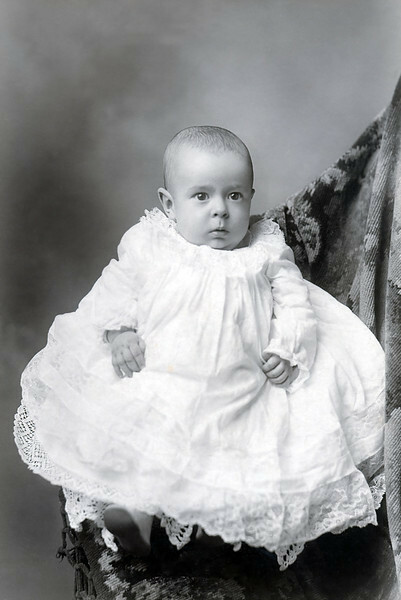 Vernon was born in October of 1904 and he looks about six months here so this portrait was made sometime in 1905. Vernon did not fare as well as his sisters, they all lived into their nineties, but Vernon died just short of sixty.